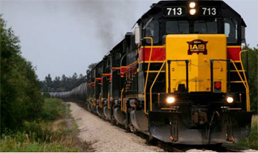 Iowa Operation Lifesaver is a nonprofit education and awareness program dedicated to ending tragic collisions, fatalities and injuries at highway-rail grade crossings and on railroad rights-of-way. OPERATION LIFESAVER IOWA WANTS YOU AND YOUR FAMILY TO BE SAFE AROUND HIGHWAY-RAIL GRADE CROSSINGS AND TRAINS! OL is a diversified grass roots safety program. Programs are available for any group, any time of the day or night conducted by Authorized Volunteer (OLAV) all over the state at no charge. Thank you for your interest in Operation Lifesaver. 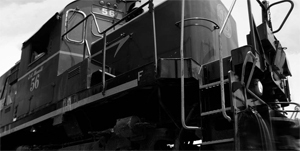 Iowa's Operation Lifesaver state coordinator can provide you with additional information regarding highway-rail grade crossing safety and trespass prevention activities. The state coordinator can also help you schedule a free safety presentations at your school, community clubs, workplaces, fairs and special events, or talk with you about becoming an Operation Lifesaver volunteer! Call us at 319-415-4814.